Each year companies take costly hits due to internal and external losses. Let us put your mind at ease. RC Security can mitigate your losses and secure your commercial assets with a seamless integration of services, bringing you unparalleled loss prevention and physical safety through risk analysis, vulnerability assessments, and emergency planning. RC Security can offer marked overt patrols on-site and off-site monitoring and covert surveillance. 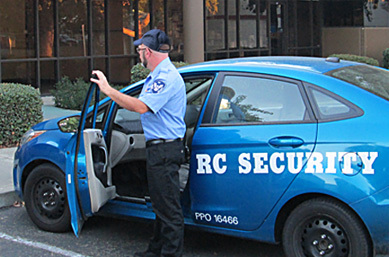 RC Security officers patrol the entire property including all buildings, streets, pools, hallways, parking lots and any recreational facilities by foot patrol and reduce criminal opportunity, burglary, prowlers, loitering, auto theft, vagrancy, and vandalism. We will report all suspicious activities, vandalism and maintenance issues (graffiti, lights out, inoperable doors, locks, water leaks, property rules and code violations, etc.). Patrol Reports can be provided by eMail, Fax or dropped at site at end of inspection. RC security is also available to provide clients with enforcement of general laws, your property rules & regulations, and respond to any tenant complaints, 24/7/365. 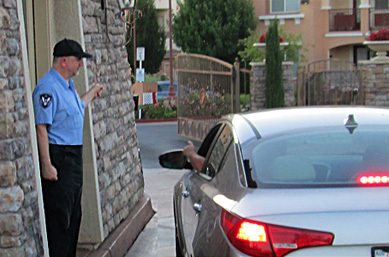 Our uniformed officer arrives on property in a professional marked patrol vehicle and conducts a patrol or patrol and walkthrough inspection of the property lasting approximately 15-20 minutes (depends on the type of services contracted – patrol only or patrol and walkthrough). Patrols may be random or scheduled for specific time slots. The number of visits per shift is customized to the client’s needs. 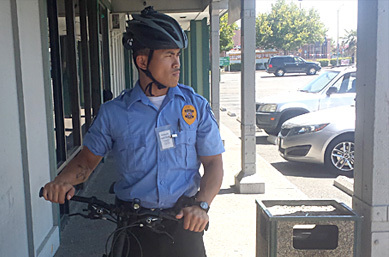 RC Security officers patrol the entire property including all buildings, streets, pools, hallways, parking lots and any recreational facilities by foot patrol. We use the vehicles only to get to your site unless contracted to conduct vehicle patrols only. 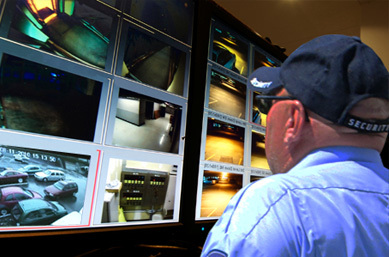 RC Security has the unique ability to monitor your on-site security cameras remotely and providing clients with a 24/7/365 response team that can respond to any and all threats to your assets. RC Security will also provide information to local law enforcement to aid apprehension of the offenders. RC Security officers present a professional appearance. All officers wear a marked and highly visible professional security uniform. RC Security can meet any and all of your security needs based on the threat level and the requirements of the client. We have armed and unarmed security officers available for 24 hour patrol/guard duty. Warehouses face multiple security and environmental threats: foot traffic can expose them to internal and external loss, and faulty environmental controls can damage valuable products. RC security can simultaneously handle these challenges. RC can handle anything from setting up controlled access entry points up to and including biometrics and secure offsite monitoring systems and surveillance. Construction sites are inherently vulnerable to security hazards due to their level of traffic and activity, and the monitoring challenges that they present. RC Security can post guards on-site, provide vehicle patrols; offer on-site and off-site monitoring, covert video and surveillance with special response teams.